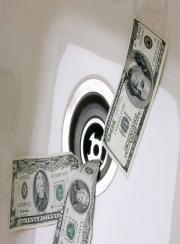 Let us help you control your expenses from going down the drain. Our Phone Bill Audit service is "risk free" and "hassle free". We minimize the amount of work required by our clients (usually less than an hour to initiate the process). Once we complete our analysis, we provide a series of cost savings recommendations and credit opportunities. You review the recommendations and retain complete discretion on which ones you will implement. Our fees are “risk free” and are solely on a contingency fee basis, 50% of savings and credits received. There are no other fees (upfront, travel, miscellaneous) associated with the service. Our clients have been very satisfied with their Phone Bill Audits. We have completed phone bill audits for Nation-wide clients in health care, high technology, internet software, retail, and manufacturing.